* Some big DLC-related news this week. First up: it looks like we might have our first details of Bethesda’s next Skyrim expansion pack. 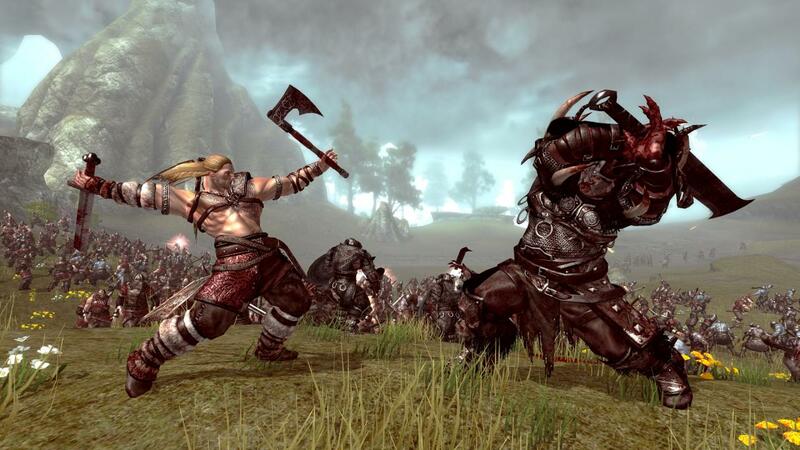 Hints of a DLC release called “Dragonborn” popped up in the files of the latest title update. The big news seems to be that the upcoming, still-unannounced content pack will add a feature that allows players to… wait for it… use dragons as a mount. Who needs Shadowmere when you can soar above the snowy mountaintops on the back of a giant, winged, fire-breathing lizard. The files also suggest that some new armor types will be added to the game and, more importantly, that the DLC will send players to some familiar locations in and around Morrowind, a land that hasn’t been visited since The Elder Scrolls 3. * The next Battlefield 3 multiplayer expansion has been detailed, priced, and dated. We already knew that it would be called Aftermath and that it would in some way revolve around the earthquake disaster the drives much of the game’s campaign, but now we’ve got real details. 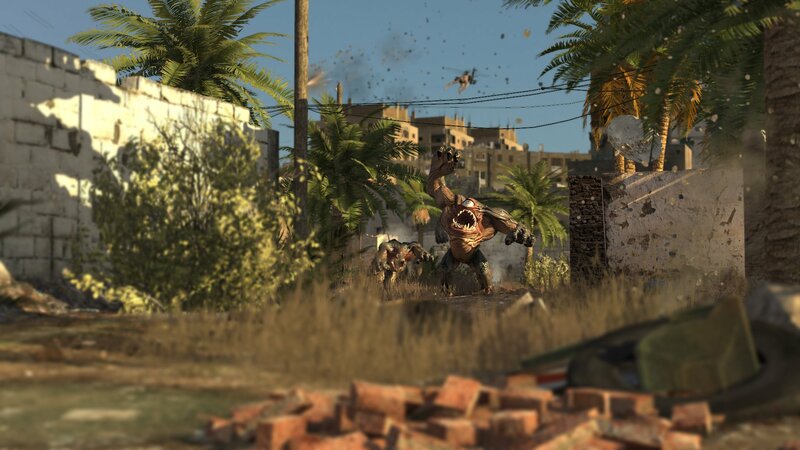 Aftermath arrives first for PlayStation 3-using BF3 Premium subscribers, on November 27. 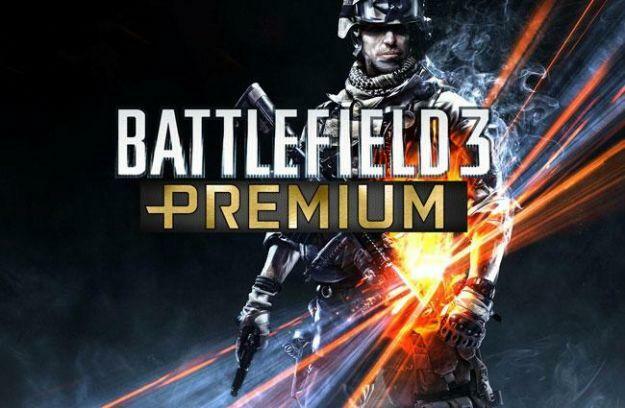 Premium subscribers on Xbox 360/PC can join in on the fun a week later, with non-Premium PS3 and Xbox 360/PC players getting their chance to buy the pack in the two weeks that follow. Aftermath adds four new multiplayer maps to Battlefield 3 as well as three vehicles, a crossbow, and a new objective mode called Scavenger. * Over in the realm of top-shelf mobile games, it looks like iOS users will have to wait a little bit longer before they can enjoy the Diablo-esque hacking and slashing of Impossible Studios’ Infinity Blade spin-off, Infinity Blade: Dungeons. Epic Games confirmed this week that the iOS exclusive, first revealed in March 2012 at Apple’s current-gen iPad reveal, won’t be hitting the App Store until 2013. It seems that the Impossible studio needed to actually be assembled — right down to the “desks, chairs, staplers, and computers” — before work on the game could begin in earnest. Too bad. Development time on these iOS games tends to be measured in months, so Dungeons is certainly shaping up to be one of the longer dev cycles. Whether that’s a good thing or a bad thing remains to be seen, but either way, we’ll have to wait until next year to find out. * Star Wars: The Old Republic continues to march forward into its free-to-play future, with BioWare offering more detail this week on how the new pricing structure will work. In short: F2Pers can enjoy the story-based content completely free of charge, meaning that very soon you’ll be able to play what amounts to eight new Knights of the Old Republic-style tales for the low cost of nothing. Virtually everything else has a pay component or usage limitation built into it, but none of it is necessarily essential to playing through the stories. The biggest question that remains about the F2P switch is when it will actually happen. * PowerA’s MOGA Mobile Gaming Controller is out next week, bringing console-style video game controls to small-screen Android platforms. As Ryan said in his review, “the MOGA may not be the first Android controller on the market, it is by far the best, and likely a glimpse at the future of gaming.” It’s a nifty piece of gear for the Android gamer on the go. Pre-orders are open now, and shipments are expected to go out starting on October 22. * We learned this week that Microsoft’s upcoming Surface tablet, which now has a price AND a release date, has a pretty bit of gamer-centric support built into it. Thanks to the presence of USB ports and a Windows-based operating system, the tablet can recognize and support the use of wired Xbox 360 controllers. The Surface won’t be the first tablet out there to support USB controllers, but being that it’s a Windows-based system it could conceivably play nice with other first-party peripherals as well. Such as the Kinect. No one on the development team has tried that out yet, but you can bet that the homebrew community will be all over it when the tablet launches later this month. Smaller list of recommendations than usual this week, but they all offer good times. Viking may be one that you’ve missed. 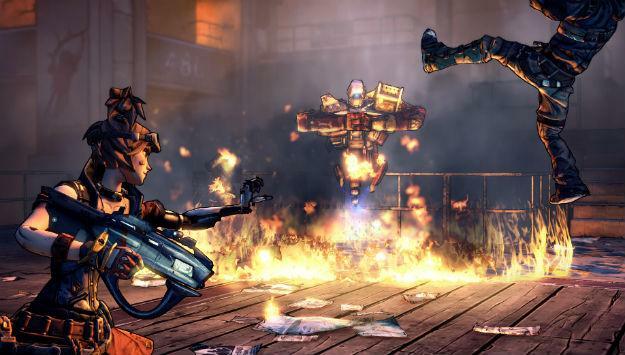 It was released earlier in the current console generation for Xbox 360 and PlayStation 3 as a full-priced game. The developer is The Creative Assembly, the same folks behind the Total War strategy series. The gameplay couldn’t be further removed, however. Battle for Asgard is an open world(ish) third person action game in which you visit a series of islands, build up an army, and then lead said army in a brutal assault on a “boss” fortress. The game received middling reviews upon its release, but I’ve always been a big fan of this one. Well worth your time, especially at such a low price. Let’s get serious here: the Serious Sam series does the Doom/Duke Nukem thing better than either of those games. It makes no excuses for its circle-strafe-focused mayhem. The game embraces its simple design with its whole heart. BFE gives you massive open battle arenas and hundreds upon hundreds of enemies to be on the receiving end of your powerful arsenal. Where Sam steps things up is in its focus on party play. In addition to the expected adversarial multiplayer mode, you’ve also got a campaign that supports co-op for up to 16 players all the way through. Pick of the week right here. Anyone who knows me and knows my tastes shouldn’t be surprised. 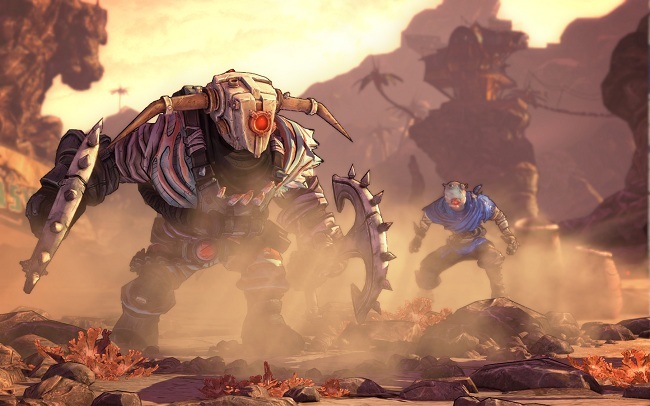 While Captain Scarlett is just as much “MOAR BORDERLANDS” as Borderlands 2 was, Gearbox delivers 10+ hours of extra content for the September 2012 release that amounts to a big love letter to pirates. You’ll find X marking the spot, shoot down peg-legged robots, and take aim on Cabin Boys and Anchormen. In addition to the “find the pirate treasure”-focused campaign and assorted sidequests, there’s also a new focus in Captain Scarlett on further developing Borderlands 2‘s endgame. It’s not a total success across the board, but there’s plenty of promise. Check out my full review if you’d like to know more. Have you been having a blast cursing out your smartphone/tablet as you struggle to beat the high scores in Terry Cavanagh’s Super Hexagon? That earlier release, recommended right here on Digital Blend, is joined this week by another Cavanagh work. Don’t Look Back actually predates Super Hexagon, it’s just newly ported to mobile platforms. It’s best described as an action-platformer… I guess. Really, it’s yet another infernally challenging video game from a man who likes to drive gamers nuts. Not everyone’s cup of tea, but pure joy for the right gamer. And for the low price of 100-percent free, it’s easy enough to find out if you are that right type of gamer. Digital Trends is hiring! We're currently seeking professional freelance writers with expertise in smart homes, home theater, and computers, as well as a number of generalists to work on features and guides.